Its current vendor acquired the car in 2012. 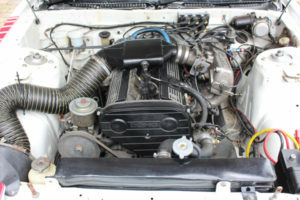 The Group A Supra underwent a thorough restoration. 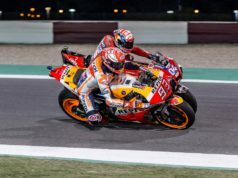 It included major overhauls of the suspension, braking system, clutch, and fuel system. It has a close ratio 5-speed gearbox in its original casing. The renowned engine builder, Ric Wood made dyno tests of the 204bhp engine. The car passed validation by 1985 Team Toyota GB/Hughes of Beaconsfield team manager Gordon Mayers. Last year it was at the Goodwood Festival of Speed as part of a Barry Sheene tribute. The Supra goes under the hammer with an estimate of between £60,000 and £80,000 at the Silverstone Auctions Race Car Sale. The auction forms part of the world’s biggest classic motor racing festival, the Silverstone Classic. Organisers expect over 100,000 visitors. Sheene was dubbed ‘The Meccano Man’ when doctors pieced together his broken body with nuts and bolts after a series of crashes. 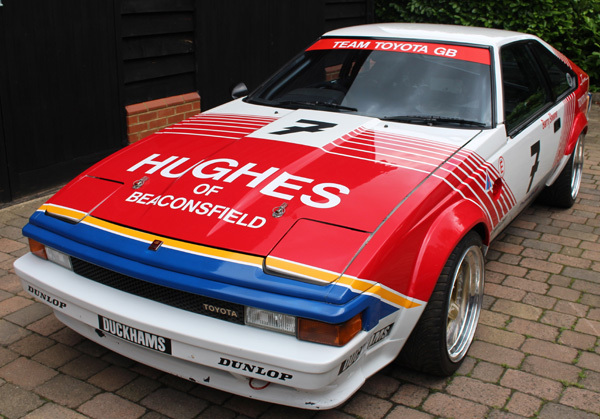 He swapped two wheels for four to join Team Toyota GB to drive the Hughes of Beaconsfield works Supra in the 1985 British Saloon Car Championship. It is now the British Touring Car Championship (BTCC). Races at the time were on TV. And while Barry Sheene’s celebrity status helped, it was his skill behind the wheel that won him the highly paid works drive. In initial tests at Goodwood, he was only 0.4s off the lap time set by works Toyota driver, legendary racer Win Percy. Sheene took fifth place in the opening round at Silverstone, and a third at Thruxton. However, Sheene was part in a six car smash later at Thruxton. It left him with a broken ankle and a badly damaged car. After repairment of the car, Sheene returned at the wheel at the next round at Silverstone just two weeks later. 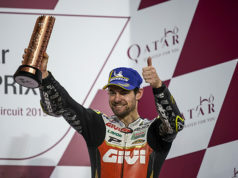 There he achieved an impressive third overall. Sheene went on to complete the rest of the season. He finished consistently in the top six in the very Toyota Supra which will be at the auction. He sadly passed away in 2003 after at battle with cancer. Next articleMore drama at the 24 Hours of Le Mans: Porsche #1 is out!